Congratulations and thank you to everyone who came out for our 1 year anniversary of our Free 5ks, here at TriCycle and Run. 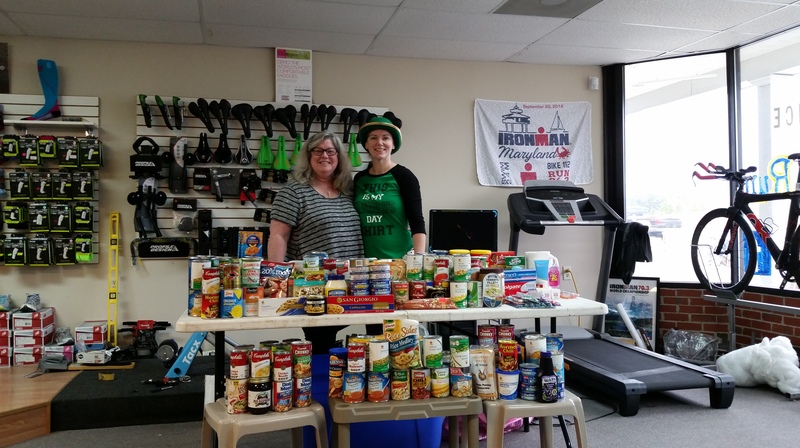 74 runners came out to celebrate today and help make Easter dinner a brighter occasion with their donation to the St Michaels Community Center food pantry. Congratulations to all of our winners, who guessed their times within 10 seconds of their finish. Ben Pittsely, Todd Warner, Brandon Chance (all our first three folks to cross the finish line!!! ), in addition to Tara Smith and the infamous Kiley Shipp all crossed within their times and will be contacted as the Guesstimate Winners!! Be sure to join us on April 16th for the Spring Fling 5k where there will be some special items along the course. AND SAVE THE DATE for May 14th for the TACKY PROM 5k!! Special thanks to our partners for this race at Eastern Shore Brewing Company and Blackthorn Irish Pub.